When you visit the farm stand and orchard you may visit our farm animals-Percheron Draft Horses, chickens, turkeys, peacocks, bring a picnic, and take a tractor-drawn hayride (Saturday/Sunday only September/October). Enjoy all things apple in our farm stand – apples, apple cider donuts, apple pies and oh so much more! We do not charge an admission fee. U-Pick requires prior reservations and is sold out generally by August. We look forward to having you here at the orchard! Orcharding on the Front Range is no easy task thanks to Mother Nature. We have a deep appreciation for the fall orchard traditions and we are committed to bring you a small reminisce of memories from days gone by and a place to create new ones. In 1896, Percy Goss moved to the farm. He “bachelored it” for four years before he married Jennie, and they began farming on what is now the YA YA Farm & Orchard. In 1934, they gave their son, Jim, the graduation gift of an apple orchard. At present, YA YA Orchard sits on 8 acres and is home to 1,000 fruit trees – mostly apple, but some cherry, plum and pear. We have also added grapes, blackberries, and raspberries. 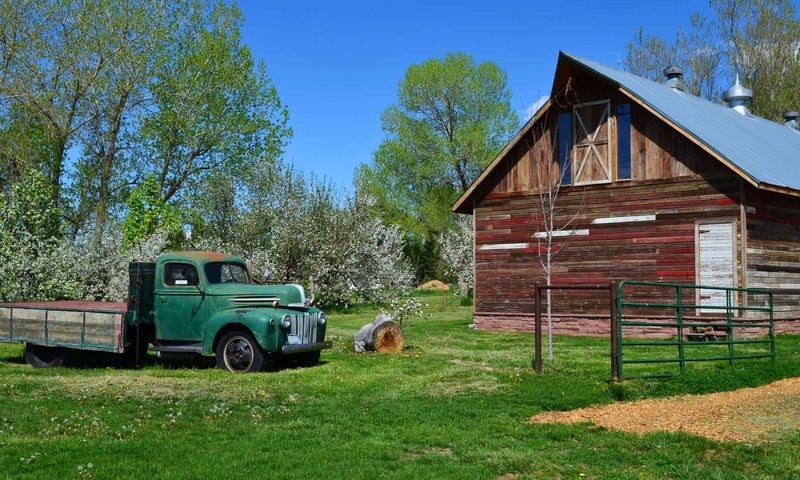 Read More about the Goss Family and the History of YA YA Farm and Orchard . . . Check out our galleries to take a peek at our beautiful property. Also see our events section to learn more and acquire more info! Enjoy an afternoon picking your own apples, pears, cherries, and flowers. We’re a U-Pick-It farm. Experience life at its fullest with family and friends listening to local music and eating barbecue fresh off the smoker at Applefest! We offer these things and much, much more. Take some time to explore our website and see all the wonderful things we can provide.